DONG DANG, Vietnam — Smiling and holding up his clasped hands in a victorious pose, North Korean leader Kim Jong Un on Saturday boarded his private train at the Vietnam-China border for a 60-plus-hour ride home, ending a trip to Vietnam that saw a summit breakdown with President Donald Trump. He spent his last day in Hanoi laying large red-and-yellow wreaths at a war memorial and at the mausoleum of national hero Ho Chi Minh, surrounded by Vietnamese soldiers in crisp white uniforms and his own entourage of top North Korean officials. At the border, he got out of his armored limousine and clasped his hands, waving to a crowd of people cheering his departure. Since Trump flew home to Washington, Kim has stepped assuredly into the spotlight, keen to show himself as a poised leader taking his rightful place on the international stage. He met Friday with President Nguyen Phu Trong, the country’s top leader and Communist Party chief, grinning broadly as he was feted by top officials and escorted down a red carpet. As Kim met with officials in Hanoi, the United States and North Korea have both been spinning their versions of what happened during one of the most high-profile diplomatic collapses in recent years. But some experts believe that Kim, by standing shoulder-to-shoulder with Trump at a summit that captivated many around the world, will have one sure win: He’ll be able to portray himself to his people and supporters as the charismatic head of a nuclear-armed power, not an international pariah that starves its citizens so it can build nukes and missiles. On Saturday, Kim, his trademark high-and-tight pompadour a bit disheveled, walked slowly behind a wreath with his name on it and a message that said, “I mourn the heroes and patriotic martyrs,” as it was taken to the Monument to War Heroes and Martyrs. He also oversaw the presentation of a large wreath at the Ho Chi Minh Mausoleum, where he bowed and walked inside. Talks between Kim and Trump broke down on Thursday, the second day of their two-day summit, in a dispute over how much sanctions relief Washington should provide Pyongyang in return for nuclear disarmament steps. Despite a senior North Korean official’s suggestion — in a rushed, middle-of-the-night news conference called to dispute Trump’s version of the summit’s end — that Kim may have “lost the will” for diplomacy, the North Korean leader seems to have emerged from the diplomatic wreckage as a winner. Kim answered questions with humor and ease when confronted by an aggressive international media contingent here. And, crucially for his image at home, he stood firm on his demands for the relief of sanctions imposed over a nuclear program North Korea says it built in the face of unrelenting U.S. hostility meant to end its leadership. 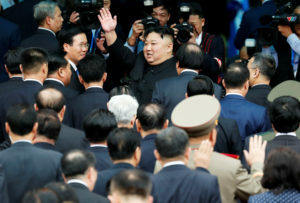 The United States also has been spinning the summit breakdown, with senior officials saying that North Korea wanted billions of dollars in sanctions relief in return for only partial dismantlement of Yongbyon, and demanded the North scrap more of its nuclear program for such a high level of concessions. It’s unclear what will come next: Working-level meetings among experts to close the negotiating gap? Another summit? Or will Trump, consumed with controversy in Washington and burned by the failure in Hanoi, lose interest? The worst-case scenario would be a return to the personal insults and threats of war between Trump and Kim in 2017 as the North staged a series of increasingly powerful weapons tests, including a nuclear detonation and displays of long-range missiles that can target the U.S. mainland, though experts believe those ICBMs are not yet complete. 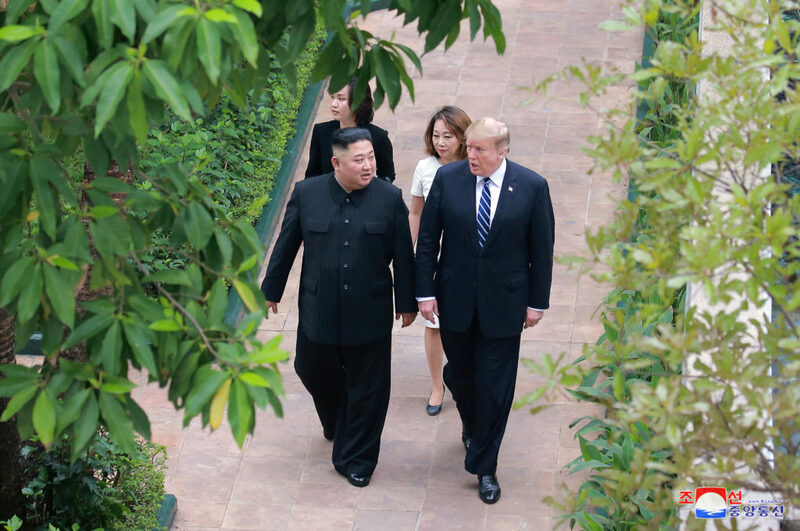 Trump maintained ahead of the Hanoi summit that the economic benefits of a deal could push Kim to give up his nuclear ambitions. Klug reported from Hanoi, Vietnam. Associated Press writer Hyung-jin Kim in Hanoi, Vietnam, contributed to this report. Foster Klug, AP’s bureau chief in South Korea, has covered the Koreas since 2005.